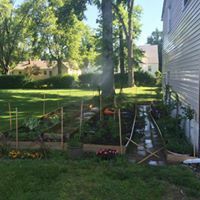 Our family began gardening in 2008 and in 2016 we took it to Facebook to help other amateur gardeners. It is our passion, growing heirloom tomatoes, herbs, squash, and other vegetables. Blackberries and blueberries grow alongside the house and our front bed is a melange of perennial flowers, which gets added to each year.